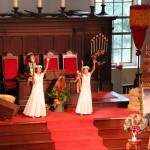 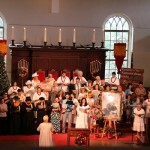 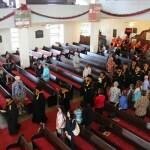 Kawaiaha‘o Church’s Ali‘i Sundays is a tradition that dates back to about 1914. 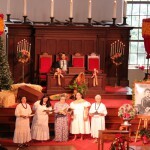 It is a day to recognize and honor our ali‘i on or just before their birthday. 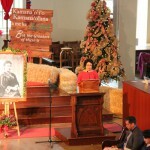 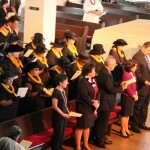 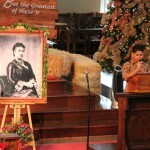 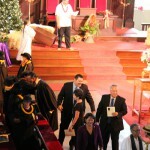 The Ali‘i Sunday service for Princess Bernice Pauahi Bishop was held on December 14, 2014. 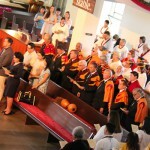 A group of about 200 people were in attendance, including members from our Kamehameha Schools staff and alumni groups, as well as members from the Benevolent Royal Societies, Ali‘i Trusts and the Hawaiian Civic Clubs.